Group bookings available by reservation. You’re in Morzine for a few days in winter. 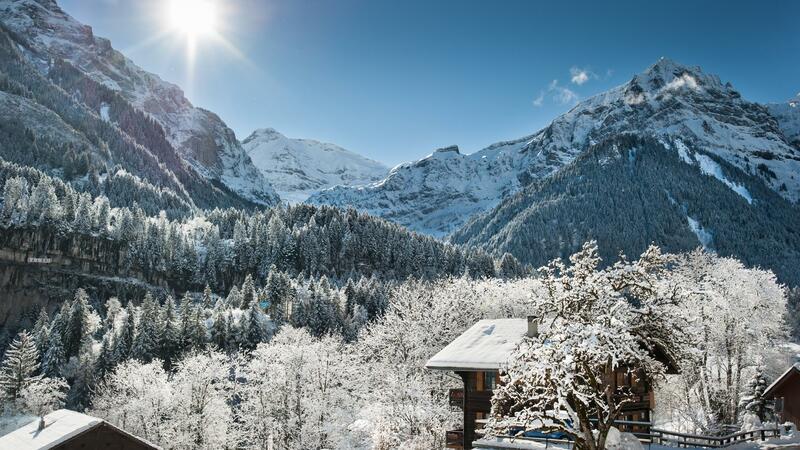 You intend to wander round, go snowshoeing, try winter sports or just ski the Avoriaz slopes, in the heart of the ‘Portes du Soleil’. Get the best of the 300 hectares and 76 km of slopes, the ultra-natural setting and the 360° views of the mountains and the snow. From Le Petit Dru Hotel, go up high and take a break in the midst of nature at our mountain restaurant in Avoriaz: Le Fangle. The name suits it well, meaning “passing through a rock wall” in Savoie dialect. It is indeed a place to pass through. And a place for a break too. Enough to feed the imagination, an exclusive journey into the world that embodies our vision of authenticity and luxury in the purest sense: time, space, freedom, serenity and generosity. In a word, the mountains. Avoriaz is located just minutes from Morzine and Le Petit Dru Hotel. The station has obtained over time several labels and awards. Of these, in 2016 Avoriaz 1800 was classified as "Major Stations" and "New Sliding Stations" as well as "Gentle Mountain". In 2013, Avoriaz also received the award for "the most innovative ski resort in the world for sustainable development" (Worlds Snow Awards). And in 2014, CNN elected the Stash, one of its parks made up of an immense network of tracks criss-crossing the forest, punctuated with modules of wood and snow, the best sport of the world ! Her exceptional position in the heart of the Domaine des Portes du Soleil makes it a site unique. Moreover, prohibited to cars, it offers visitors to the inhabitants an incomparable quality of life. We move on foot, on skis or sleighs on horseback in complete freedom. It is where Le Fangle welcomes lunch and dinner in winter visitors and guests of the Petit Dru hotel. It hosts also groups, by reservation. The Prodains Express is a 12-cabin, 35-seat cable car, linking the foot of Les Prodains to Avoriaz in 4 minutes, since March 2013. Little time to admire the panorama of 300 hectares unfolding below you, second by second. Take the opportunity to take it all in. Before you, Arare, Lindarets, Chavanette, Plateau, Indrets, Prodains and Super Morzine. See the crests of Les Hauts-Forts (2466 m) and the Pointe des Mossettes, rising to 2250 m above sea level in the Valais. Take a moment to think of Jean Vuarnet, Alpine skiing champion at the 1960 Winter Olympics, who obtained permission in 1978 to construct a set of 28 mechanical ski lifts in the Avoriaz alpine pasture. Admire the old village of Avoriaz, where farmers would take their livestock in summer to wooden chalets just like ours, Le Fangle.. This authentic alpine chalet, where the ancients went for the grazing season, retains the essentials: its soul and its spirit. The current building was constructed around these original ‘summer residences’. Le Fangle was purchased by the current owners’ parents and fully renovated in the spirit of these seasonal chalets, where people lived and ate simply. Generosity and sharing, the art of living and simple food offered all their flavours to these long breaks in the heart of nature. Each winter, Le Fangle – in the heart of the Portes du Soleil – now offers 140 seats indoors and 100 on the terrace. Inside, wood is ubiquitous. The tables are organised around the majestic central fireplace, glazed over for guests to admire the flames, adding an essential touch to the rustic, welcoming atmosphere at Le Fangle. On the menu, alpine cuisine and Savoie specialities are warming and hearty, so guests can then return, full up, to the slopes until they close. From fillet of beef with chanterelle mushrooms and the unmissable fondue to Crozet pasta bakes, generous mixed salads and cheese crostini, everything is available, there on the plate, to offer every guest the unmistakable taste of authentic, filling dishes, a vital part of winter days in the open air.